"Only a credible and inclusive political process can meet the aspirations of the Sudanese people and lead to the political and economic reforms the country needs", said European Union foreign policy chief Federica Mogherini in a written statement. "This entire group is from Bashir's regime". He further announced the suspension of Sudan's 2005 Constitution and the dissolution of the Sudanese presidency, parliament and council of ministers. 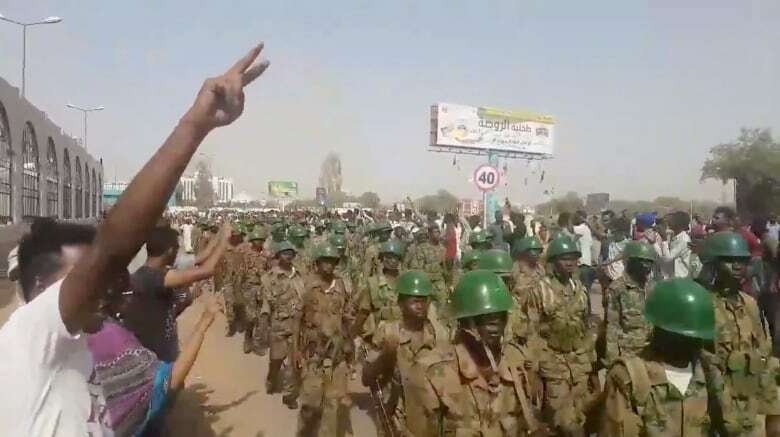 This is following an appeal by Sudanese Professionals Association (SPA) which opposes the military move to take over the government. Surrendering him to face trial would be a good starting point. Ibn Auf, who is under United States sanctions for supporting genocidal militias in the Darfur region, had been under global pressure to establish a civilian transitional government. Those steps were criticised as heavy-handed by rights groups. Ibn Auf named Abdel-Fattah al-Burha the new chief of the council. Charge d'affaires Yasir Abdelsalam told the UN Security Council on Friday that a civilian government would be "formed in collaboration with political forces and stakeholders". "We are not greedy for power", he said.